Ask Genie questions about how OEM parts drive business value for customers. Genie invites customers to ask questions and get answers about how original equipment manufacturer (OEM) parts can drive business value for customers during its upcoming “Ask Me Anything” (AMA) event, December 3-7. On Monday, December 3, a prompt will be posted on the Genie Aerial Pros AMA Event page, as well as will be shared on social media simultaneously, to garner questions. The post will stay open, or “live,” for questions and comments through Friday, December 7. 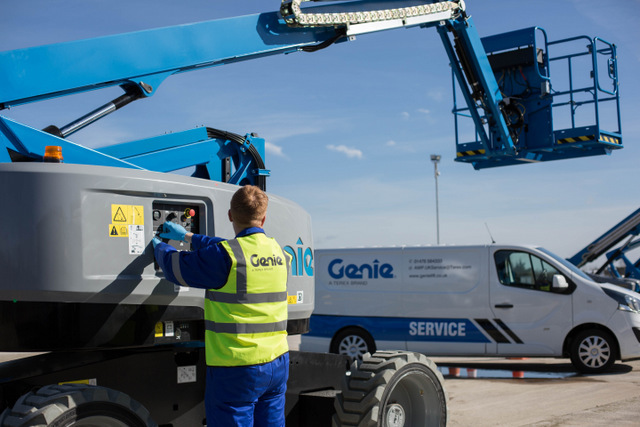 The goal of this eighth Genie AMA event is to give customers an opportunity to ask Genie questions about how parts can influence rental store revenue opportunities and increase the rental return on invested capital (rROIC) of rental fleets. For more information on Genie products, click this link, clicky.